Round 4 of the 2019 AFL season kicks off on Thursday night with Sydney welcoming Melbourne to the SCG with both teams desperate for a win. 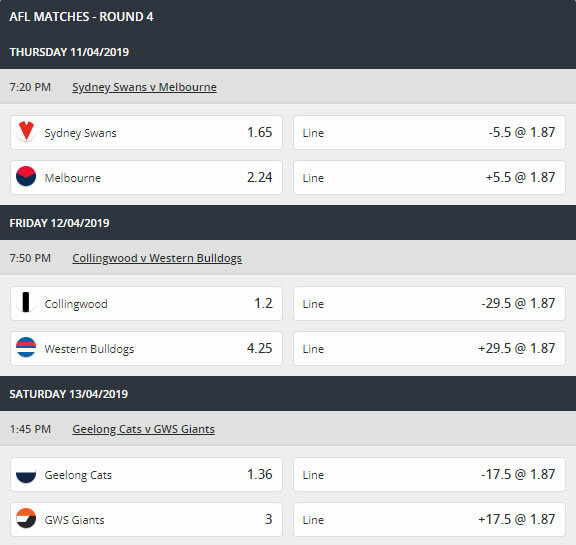 Geelong and the Giants clash in what should be a beauty on Saturday afternoon, while Sunday football is highlighted by the derby in the West when Fremantle and West Coast collide! 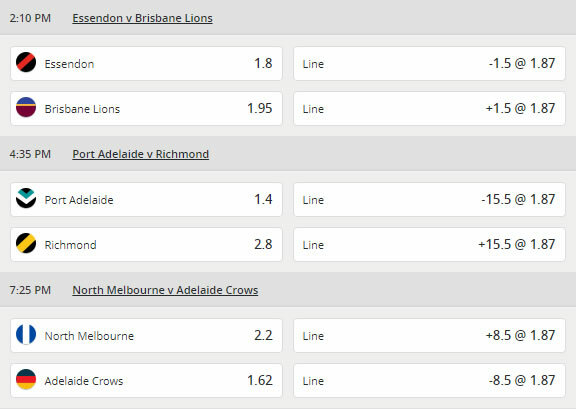 Here's the latest 2019 AFL Round 4 betting odds and lines thanks to Ladbrokes. 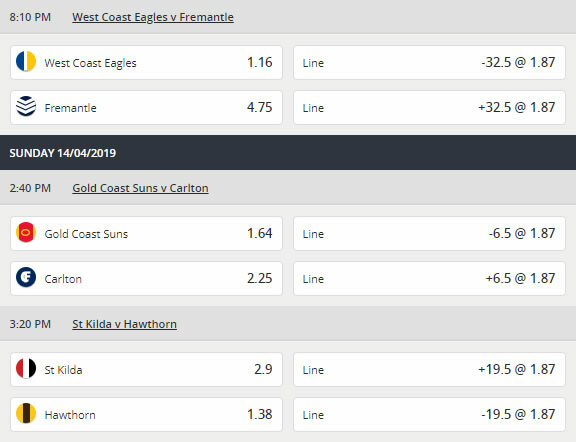 Note: Round 4 betting odds are correct as of April 8th 2019. Odds and lines may fluctuate throughout the week before the matches start.